Blockchains have been ruling the technological world for a while now. 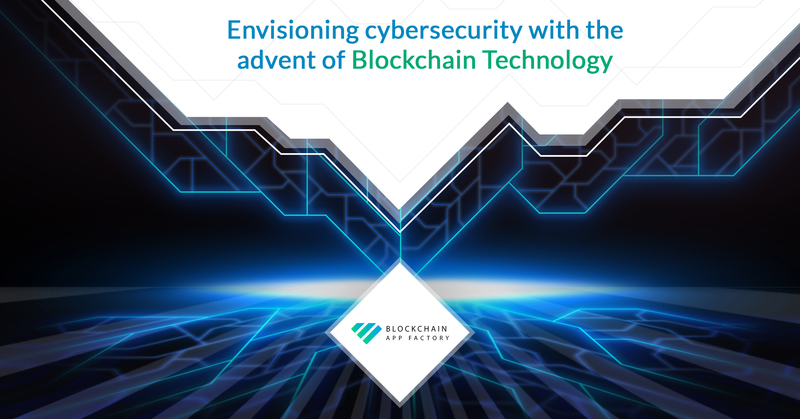 With companies investing lump sum in opportunities to secure data, blockchain technology is here to change the ideology of Cybersecurity. Cybersecurity has been an avenue of concern for ages. With the advent of blockchain technology, businesses can breathe a sigh of relief. Some of the advances that this technology can bring are mind-boggling. Humans will no longer be needed to authenticate information. With blockchain technology, businesses will be able to authenticate users and devices. The problem arises when companies allow employees or customers to set their own passwords that becomes an encouraging component for theft. Blockchain technology resolves single point of attack and offers strong authentication. The blockchain is a huge network that stores data and is extremely secure. Since data is stored in blocks it is highly impossible to tamper with it since the blocks recognise attacks and eliminate the affected block deeming it unrecognisable. This type of technology has a different approach toward traceability. It is no doubt that the transactions are accessible to the entire world yet every transaction is traceable. Irrespective of its gigantic network system, with the blockchain technology one can trace back to any transaction for any period of time. Any digital data can be breached to create a different result which might end up being harmful. Blockchain Technology prevents data manipulation with its high-end cryptographic data structures. Blockchain technology uses cryptographic language and security is not dependent on passwords. Since it avoids human activity to authenticate, there are no passwords to be trusted. It is the safest and secure mode of storage. With these exclusive features of blockchain technology comes to the good news – Since blockchain technology uses encryption methods it is believed that it might take seven billion years for a hacker to get into the network using a brute-force attack. This has been a boon to many individuals and businesses alike. Blockchain technology has created trust and fulfilment in the hearts of millions. No matter what the future holds, Blockchains are here to stay.